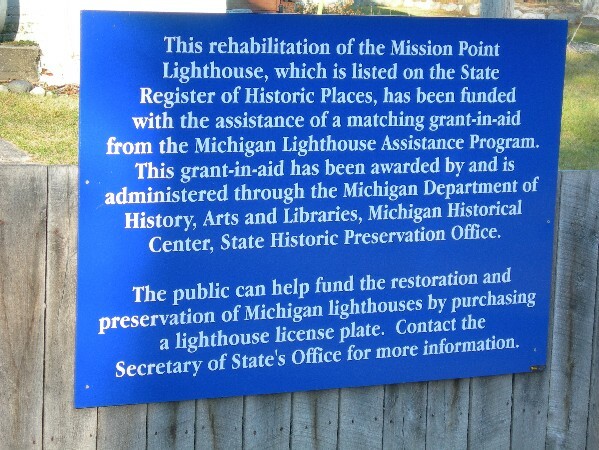 The Old Mission Point Lighthouse has a 2008 grant to repair the lantern. 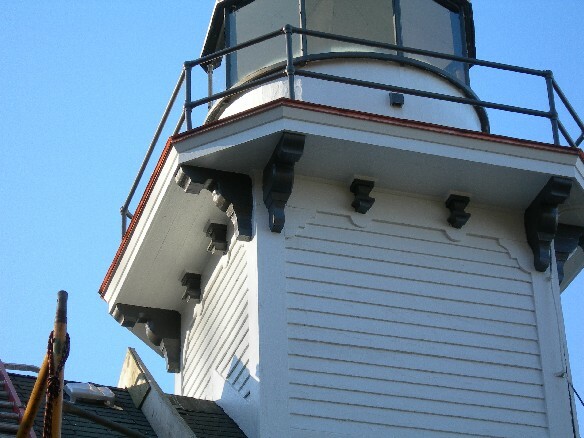 Water has been coming into the tower and the intent of this project was to make repairs to prevent further water infiltration. 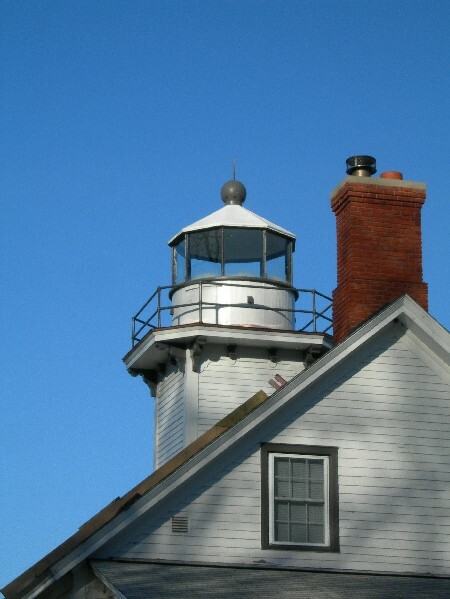 Work included installing a new copper lantern exterior deck, replace fascia boards and trim, and replace one of the large corner brackets that had deteriorated due to the moisture. 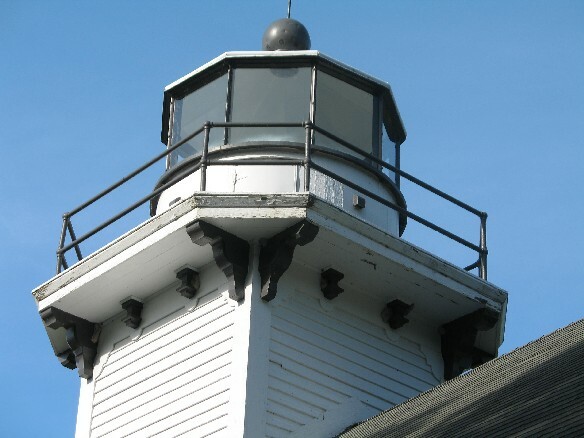 The structure of the tower was also investigated to determine if any structural damage had occurred. 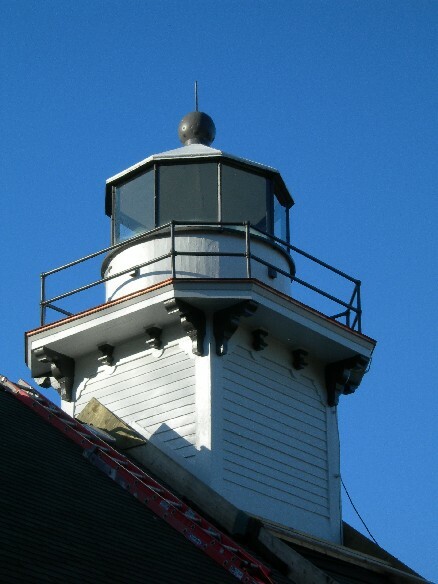 The work was mostly complete during my site visit on December 1, 2009. 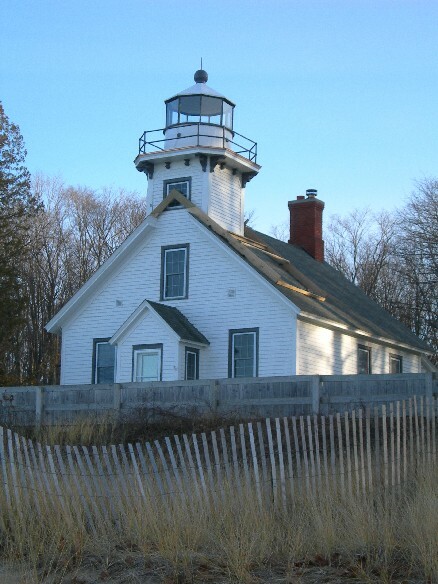 Peninsula Township, the owner of the lighthouse, and the grant administrator were very happy with the process and the completed work. 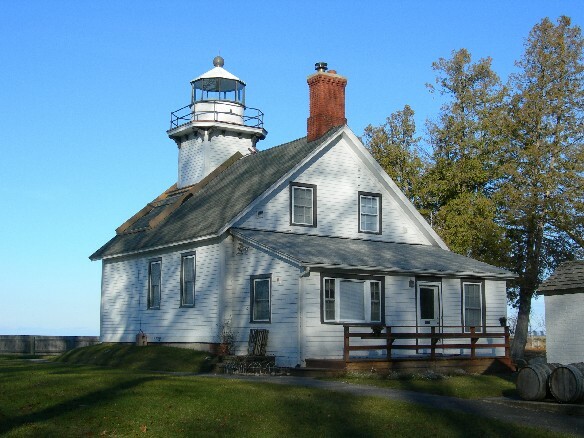 The next project for the lighthouse is to complete a Historic Structures Report (HSR) to help guide and prioritize future rehabilitation work.